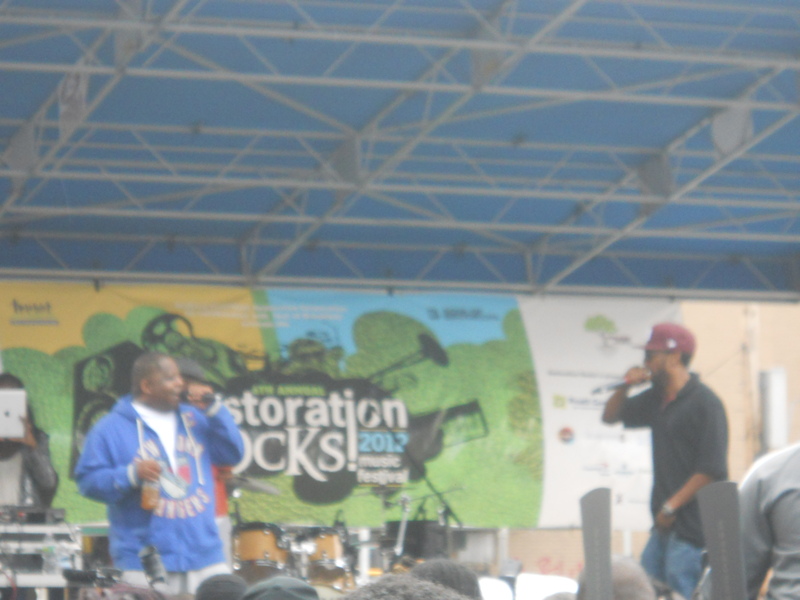 »Restoration rocks»MC Lyte Rocks the Mic in Brooklyn at Restoration Rocks! 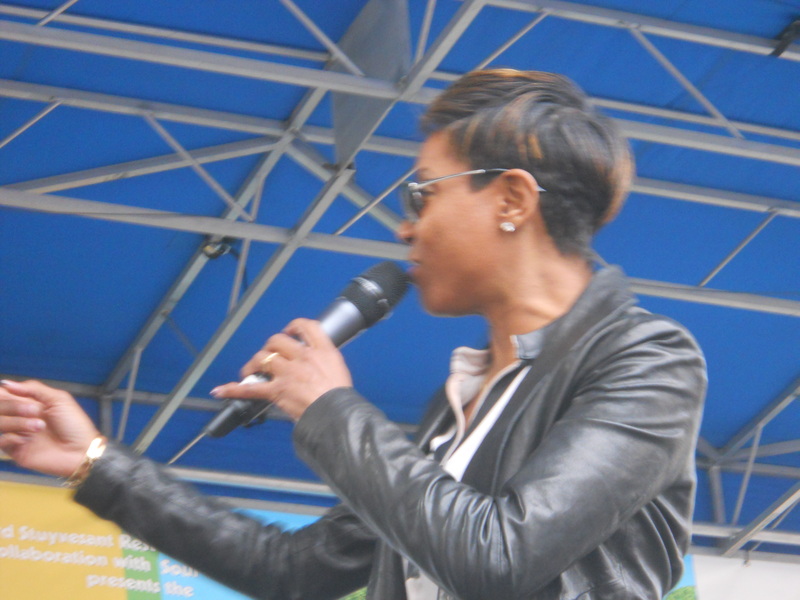 MC Lyte Rocks the Mic in Brooklyn at Restoration Rocks! On Saturday, October 6, 2012 crowds of old-school and new-school hip-hop fans gathered on Fulton Street in Brooklyn, NY to to celebrate the arts and culture of Bedford-Stuyvesant at the 6th Annual Restoration Rocks! music festival., The event was presented by the Bedford-Stuyvesant Corporation and the Soul of Brooklyn. The festival featured the music of Brand Nubian, whose love for hip-hop was shown in their high-energy performance. Because they are so talented, they make the art of rhyming and performance look easy. If you try it, you’ll discover how much they’ve “put in work” to be in the hip-hop game all this time. Plus, their lyrics of empowerment are still relevant. The rocker chicks of Black Women Rock, led by jessica Care moore was as unique as it was phenomenal. The Black Women Rock performance represents the emergence of a new, fresh sound on rock music. At the Restoration Rocks music festival, MC Lyte shows that her lyrical skills still reign supreme! 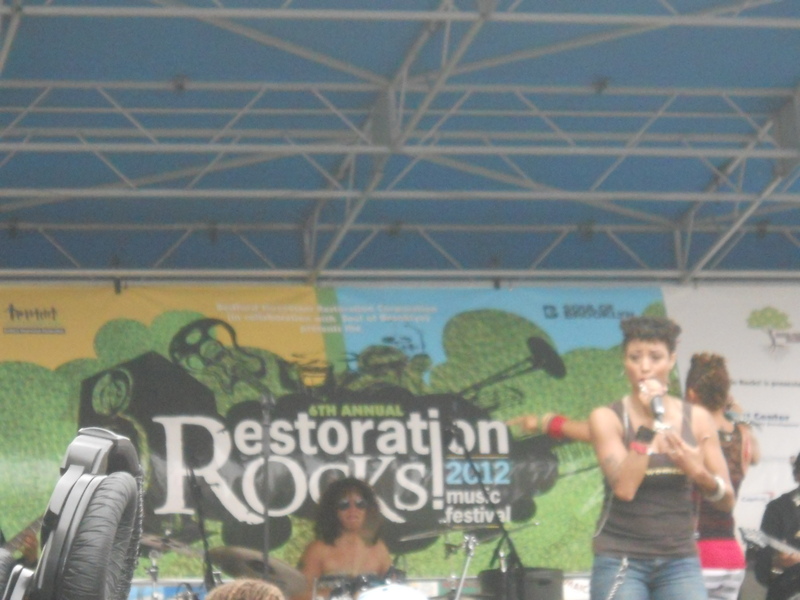 MC Lyte shut down the Restoration Rocks! event with a classic hip-hop performance. Lyte performed her songs, Cha Cha Cha, Ruffneck and lines from collaborations like Self-Destruction and the 90s remix of the hit I Wanna Be Down, featuring Brandy, Queen LaTifah and Yo-Yo. And if you think for a moment that she has not kept current, she will hit you with a freestyle verse, which she did at the Restoration Rocks! festival. Here’s a reminder of why MC Lyte is still a dynamic lyricist that is unmatched in the game. Period. End of story. MC Lyte Performs Ruffneck . It was a good day in Brooklyn. ← See Mickalene Thomas’s Art at First Saturdays! It’s about time someone got a TV show on the air shnioaswcg the Downtown Nashville Rock Music Scene. I am proud to have been a part in establishing this great movement in the early 80 s. Anyone in town that was around and playing at that time would well remember me, and my antics, while performing with the band Adonis. You can tell by the way that the Country Music sound has changed over the past 30 years, that our efforts had a lasting impact! Tell Dwayne hello, and keep up the good work.